Kiama is a magical place that lets you take a little piece of it home with when you leave. Around 90 minutes drive from Sydney – 2 hours by train – but a world away from the hustle and bustle of city life. It's a cosmopolitan coastal gem. The Kiama tourist information page is loaded with great information about this gorgeous town. Just click here to discover more. The conference venue is the Pavillion – location information is at the bottom of this page. What a conference. Thank you to everyone who helped us to put this together. From our wonderful volunteers to our international and Australian guest speakers to our sponsors and of course you – our delegates – we couldn't have done it without you! The conference will be held at The Pavilion (pictured above), located right near the main beach. 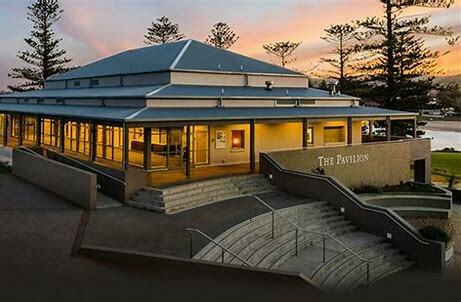 Centrally located and renovated, the Pavilion offers a great opportunity to enjoy being by the sea – taking in the sights, smells and sounds of the ocean while getting the most of the amazing content you will experience whilst riding the waves of change. 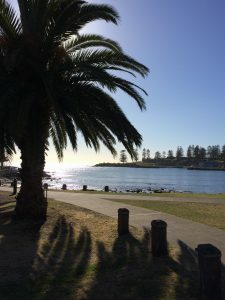 November in Kiama typically enjoys high temperatures around 22 degrees C and lows of 14 degrees C. The coastal location enjoys plenty of sunshine with the expected coastal breezes. Be sure to pack something warm for the evenings and early morning strolls along the coast. 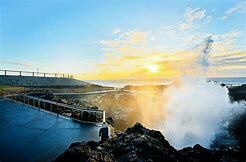 Wherever you are coming from there are plenty of options for your travel to Kiama. Train: From Central Station in Sydney it is an easy and scenic 2 hour train ride to Kiama. With trains departing approximately every hour. See http://www.sydneytrains.info/timetables/#landingPoint for South Coast Timetables. Drive: The Princes Hwy (A1) runs south from Sydney, or follow the Grand Pacific Drive, Hume Hwy/Illawarra Hwy is quickest from Canberra. 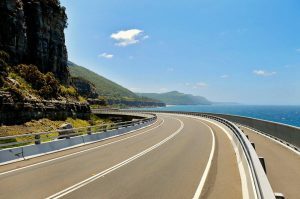 If you are driving from Sydney and have some time, don't be shy about taking the long way and driving across the Sea Cliff Bridge (follow the signs to Stanwell Park). Walking around Kiama is easy and relaxing, with the centre of town full of shops and cafes and accommodation nearby it’s very convenient. Taxi: http://www.kiamacabs.com.au/ are a local taxi company operating in the area. By Car: There is plenty of parking around Kiama, some of it is time restricted so be sure to check the signs. Parking near the beach is often a little harder than parking up the hill! There's plenty to do and see once you get to Kiama and in the nearby area. The Shoalhaven region is well supported by wineries with 15 wineries in the area and regular wine tours. Foodies are also well catered for. Be sure to keep your eyes on the ocean as the humpback whales head back south with their calves. There are plenty of beautiful vantage points around Kiama, starting at the iconic lighthouse. A natural rock formation that catapults water up to 20m in the air. If it’s warm head to the harbourside ocean pools, or surf Kendalls or Easts Beach. Head along the paths from Black Beach, past the lighthouse and on to Kendalls Beach – there is exercise equipment along the way too! There are plenty of places to grab a coffee in Kiama, settle in and enjoy the holiday vibe with your latte! Kiama is a very cosmopolitan little village and you might be surprised at how many cafes and restaurants there are. Our EO has undertaken detailed research of the local coffee establishments and highly recommends The Hungry Monkey as a starting point. Further research findings to follow as she takes one for the team in researching coffee for you. Update: if you're staying in Gerringong and have a hankering for excellent coffee (with or without toasted sandwhich) our intrepid coffee tragic EO recommends Blue Espresso Bar – excellent well made coffee. In Kiama she has now tested out Wild Patch – good for brekky and coffee is ok, and Flour Water Salt up the hill a bit from the Fire Station Gallery is excellent for both coffee and baked goods! Amaki cafe is just down from The Hungry Monkey and is ok for coffee – excellent raisin toast. With the Jamberoo Action park, and hikes through the beautiful Minnamurra Rainforest there is plenty to see and do when you head inland. Park the kids there for the day while you attend the conference?